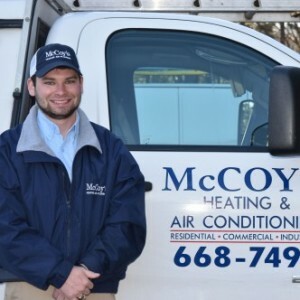 * Total number of reviews and star-ratings are based on data collected during the time period McCoy's Heating & Air has been using the ReviewBuzz system and may not directly match the data found on each public review site. Had spring check for my ac. Tech was super nice. Problem noted and informed and to be addressed at later date. We had our fall maintenance done recently and the technician they sent, Kevin H., was wonderful. He did an excellent job and he was wonderful with our dog, Ziggy. Ziggy doesn't normally like it when a stranger is in our house but he was so comfortable with Kevin H. that he actually went to sleep during his visit. 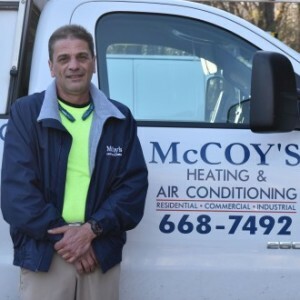 We highly recommend McCoy's Heating & Air and we would like to have Kevin H. come back anytime we have maintenance or repair work done. 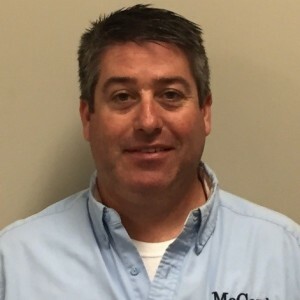 Patricia H. did a fantastic job and I am proud of McCoy's for hiring a women technician! What a great opportunity for other women who want to follow in Patricia"s footsteps! 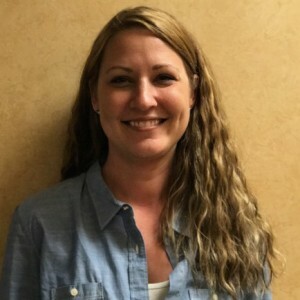 She was great and as always McCoy's provided us with excellent service! Excellent in all categories. Professional and knowlegeable. They relpaced old units and we are satisfied, happy customers. John-Michael Mann was courteous, friendly and knowledgeable in conducting our spring HVAC maintenance. As usual, McCoy’s has provided capable technicians to keep out heating/cooling systems working. 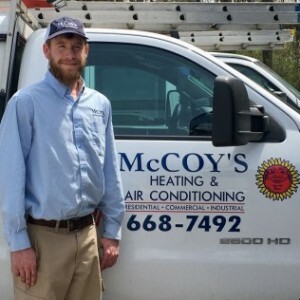 This was my first time dealing with Mccoy's, I would like to say that the Technician Patricia Huckabee, went above and beyond her job, she was very polite, she explained everything in full detail that way going on with my system and answered all my questions, I would personally recommend her to anyone, I think Mccoy's are very lucky to have an employee like her! 3/19/2019- Kevin is always nice and knowledgeable about our systems. I am always pleased when he comes to service because I dont have to explain how the HVAC systems and multiple thermostats are linked. 10/11/18- Kevin was able to find the problem and correct it quickly. He was very nice while being professional. 7/12/18- Thank you Wilson for helping Kevin get that monster evaporation coil into the attic in the heat. 7/12/2018- Kevin has been so diligent along with John to diagnose and repair the split unit in our attic. He braved the heat, and we appreciate technicians like Kevin and John, and the guy who came over to help Kevin get the evaporation coil up into the attic . 6/13/18- Another compressor failure on one of our York AC units. But the technician, John explained what had happened , and called this morning to confirm that he had ordered a new compressor. Thankfully the compressor is under warranty. He did all he could. He was very friendly, polite and competent. I have a maintenance contract , so I never have to worry with the multiple units going down at the worst possible time. The technician had been here before, so he was familiar with the complexity of our system. He checked everything, changed the filters, and left the paperwork for me while I went to a Doctors appointment . Very easy to work with. 8/19/2016: Ben responded to recheck the system first thing this morning. I appreciate the quick response. 5/24/2018- Jason responded after hours to repair our package unit. He was very helpful, and replaced the contact. Thank you McCoys! 5/23/2018- Mason came to replace the leaking coil on one of our units, and we are so grateful. Thank you Mason . He was so nice and worked so hard. Always kind and courteous And do a great job. Had My unit put in fall of 2017 and they call me to make sure everything running ok. Thanks so Much ! Wil was very thorough and found a couple of problems that he fixed during my PM for my units. He was very knowledgeable about my water source units. And he explained everything as well! McCoy's is one of the best services weve used. Their techs are very friendly and get things fixed in a timely manner. We have had Patrick working on our ac unit when the blower motor went out and he did an excellent job getting us up and heating again! I definitely recommend them! 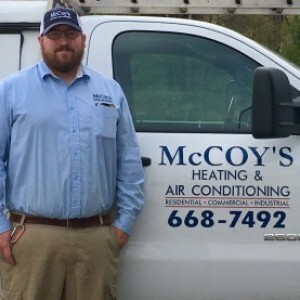 Customer service is always a top priority at McCoy's Heating & Air. Our BBB Membership A+ rating is like a badge of honor as we continuously strive to provide the best experience for our clients.